The application period is open through Jan. 31 to apply to attend a Dallas ISD magnet school, transformation school, Two-Way Dual Language program or collegiate academy for the 2017-2018 school year. 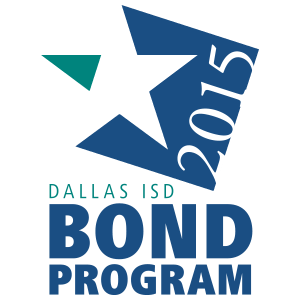 Dallas ISD is home to some of the nation’s top magnet schools. Students applying to attend one of the district magnet schools must meet certain eligibility requirements. Dallas ISD magnet schools offer unique educational opportunities and experiences. Students have access to college preparatory courses along with focused and specialized curriculum that investigates and explores today’s career choices. Public school choice programs offer specialized academic programming, similar to magnet schools. Transformation schools are one of the new school choice categories that taps into students’ individual interests, learning styles and aspirations. These schools do not have academic entry requirements – they are open enrollment for students across the district, but space is limited. The Two-Way Dual-Language program puts Spanish-speaking and English-speaking students in the same classroom, teaches them the same curriculum in both languages, and creates bilingual, bicultural and biliterate students. Students who attend a collegiate academy can earn up to 60 hours of college credit or an associate’s degree—at no cost to them—concurrently while earning a high school diploma. Dallas ISD launched seven new collegiate academies and a P-TECH this school year, and will launch another 10 district collegiate academies for the 2017–2018 school year. Current eighth-graders may apply to attend a collegiate academy. Applications are available here.